Martin is a senior consultant in Oxford Research and is primarily working with social policy, including labour market and working environment projects. 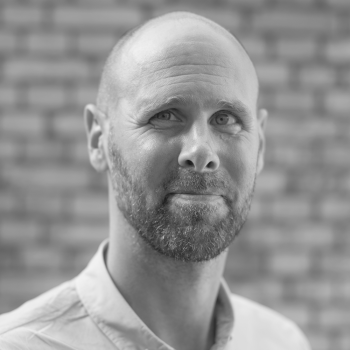 As a consultant in several consultancy agencies and the municipality of Copenhagen Martin has managed and executed extensive evaluation and development projects on welfare and employment for more than a decade. The focal point has often been labour market research: what brings vulnerable citizens closer to the labour market, how can working conditions be improved and how marginalized groups are integrated the labour force - both in a national, a Scandinavian/Nordic and a EU context. Martin has extensive experience in developing tools for measuring progression, new initiatives for screening and counselling as well as theory based evaluation, impact evaluation and best practice analysis and have extensive experience in gathering and analysing both qualitative and quantitative data. Martin is specialized in examining what works, for whom and how in social interventions on both the individual level and on a program level, and as such he has done numerous analysis on the role of education and training in society and the labor market. For these analyses, Martin has used register bases empirical data, qualitative data and done literature reviews. Furthermore, Martin is an experienced process consultant and utilizes a plethora of tolls and methods designed to optimize the learning and development process such as program theory building, target analysis, scenario building, system flow analysis etc. Martin is also an experienced project manager with focus on and experience with implementing and cooperating with a heterogeneous group of collaborators and interested parties. He has extensive knowledge of civil service at end user and political level.